Italy's financial and corporate fashion hub is casting off its staid reputation. More than forty years on, Lattuada’s formula still rings true, with one proviso. Milan’s provincialism, embedded in the reserved, conservative ways of a city that another resident creative, poet Eugenio Montale, once described as a “conurbation of hermits,” has gradually evolved into something more positive: a self-assured celebration of local strengths, from food to design to the cult of the after-work aperitivo. Not long ago, culture in Italy’s financial and design hub was dominated by august institutions such as La Scala opera house, and even fashion folk like Giorgio Armani would eat, by choice, in reassuringly traditional restaurants like Da Giacomo, exquisitely made over in 1989 by the doyen of Milanese haut bourgeois interiors, Renzo Mongiardino. These days, the challenging arts programming of Fondazione Prada is as big a draw as a night at the opera, and the booming culinary scene offers everything from craft cocktail bars with more vermouths than you could fit into the back of a three-wheeled Ape pickup to a new wave of non-Italian restaurants, many run by enterprising young members of the city’s substantial international community, which outstrips both Rome’s and Turin’s. The well-attended 2015 Expo did much to boost Milan’s confidence, not to mention visitor numbers. Depending on which survey you read, the northern city may or may not have overtaken Rome as Italy’s top urban destination. But even the fact that it is close is a surprise when you consider that Rome has the Colosseum, St Peter’s, Trevi Fountain, and the Borghese Gallery, while Milan has, in the same Greatest Art Hits ballpark, only Leonardo’s faded Last Supper mural. Recently, however, in the course of several visits to Milan and Rome from my home in Umbria, I’ve had to change tack. Milan is on an upward curve right now, while weary old Rome, which I still love with a passion, seems to have lost its mojo. I won’t dwell here on the reasons for the Eternal City’s current propensity for self-harm, but a few at least are flip sides of what makes Milan so vibrant. This is city that has successfully negotiated its morph from manufacturing and heavy industry colossus to a much more balanced economy, one in which small-scale artisanship, creative industries, retail, and lifestyle businesses coexist and cross-fertilize. A mix of public vision and private investment have also led to a noticeable change in the urban fabric—and skyline. Once an industrial wasteland, the area around Porta Garibaldi train station has been transformed into a glade of high-rises that shelters an underwood of new bars, restaurants, and retail outlets, with César Pelli’s cloud-piercing Unicredit Tower—currently the tallest building in Italy at 758 feet—topping the canopy. The Porta Nuova and Isola district to the north is also in the midst of a makeover, its architectural standard-bearer being Stefano Boeri’s visionary Bosco Verticale, or “vertical wood”; two residential towers from whose wide, overlapping balconies sprout thickets of full-grown trees. Meanwhile, Milan’s former Fiera, or trade fair zone, is becoming City Life, a district of residential, office, and leisure units due to host three towers by big-name architects: Arata Isozaki’s “Dritto” (“the straight one”), the late Zaha Hadid’s nearly completed “Storto” (“the twisted one”), and Daniel Libeskind’s “Curvo” (“the curved one”), which is on temporary hold. Milan’s epicurean heat map is shifting too; once decidedly edgy, the Navigli canal district to the southwest is a heaving mass of happy-hour humanity on warm summer evenings, though there are still pockets of hip here, like the wine bar Rebelot or neo-veggie restaurant Erba Brusca. Zona Tortona, a former industrial district north of the Porta Genova rail spur, many of whose workspaces have been converted into galleries and event venues such as Giorgio Armani’s catwalk theater, Teatro Armani, comes especially alive during the Salone del Mobile furniture fair and two annual fashion weeks. The art-centric Brera district, meanwhile, is beginning to overtake the label-dominated shopping drag of Via Montenapoleone and the furniture showroom trawl around Via Durini as the city’s cool design hub. Just north, where Brera shades into Porta Garibaldi, restaurants and bars are sprouting like funghi porcini in what is fast becoming Milan’s new nightlife and restaurant destination. That is, until the next area comes along. All the signs right now are pointing to the Chinatown district, where tasty new joints like café Otto are just beginning to unfold. Sure, there may be some narrative spin in the much-lauded Milanese image makeover of recent years; cities stand and fall, in part at least, on the stories they tell themselves about themselves. But Milan’s propulsive, entrepreneurial energy is tangible. “Risotto and steel” was Alberto Lattuada’s affectionately ironic summation of the odd balance he discerned behind his hometown’s unique “provincial metropolis” flavor in 1973. These days, it’s more likely to be the formula behind the next hot dining concept. When Milan’s manufacturing plants began to shut down in the 1970s and ’80s, the city found itself facing a social crisis that was also, to some extent, a crisis of identity—this was a place that had always defined itself through work. But lately, those empty factories and warehouses have become an essential factor in a new cultural renaissance—leading also to the opening up of outlying suburbs that were previously terra incognita for the creative crowd. Flag carrier for this turnaround is the Fondazione Prada’s new Milan headquarters in the southeastern suburb Piazzale Isarco, a 10-minute walk from Piazzale Lodi metro station. Miuccia Prada and her husband, Patrizio Bertelli, have long been involved with art both as collectors and promoters, bringing shows by artists such as Laurie Anderson, Steve McQueen, and John Baldessari to Milan and commissioning special projects. The Fondazione’s first permanent base was a historic Grand Canal palazzo in Venice, inaugurated during the 2011 Art Biennale. The new mothership is situated in a former gin distillery complex that dates back to the first years of the 20th century. The ambitious project by Rem Koolhaas and Chris van Duijn of OMA involved the conversion of the plant’s seven existing buildings and the construction of three more, including a soon-to-open asymmetrical tower destined to house the permanent collection. Thanks to head curator Astrid Welter’s imaginative programming—the sold-out Alejandro G. Iñárritu VR installation Carne y Arena, which runs through Jan. 2018, is just one of many highlights—the entire venue is a must-visit. 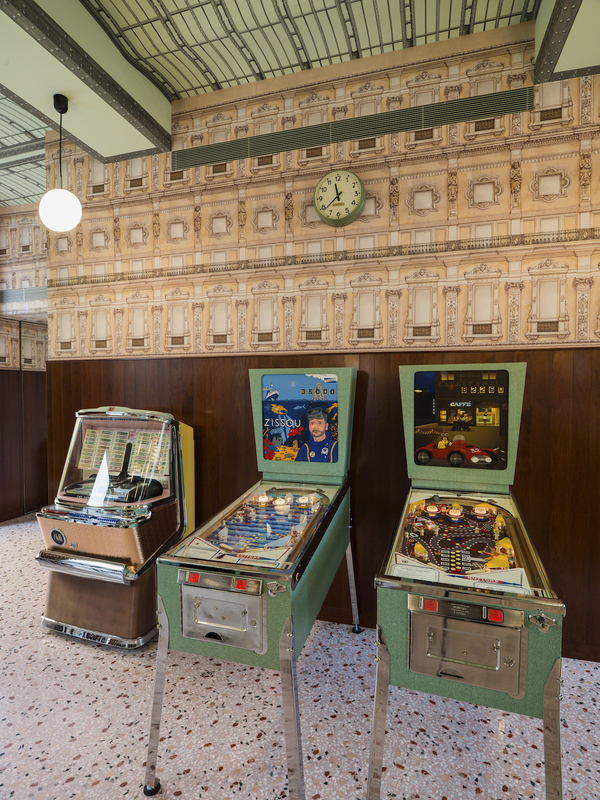 But little details also help, like the Bar Luce, a tongue-in-cheek homage by film director Wes Anderson to classic Italian small-town bars, complete with pinball machines and gourmet panini. Prada isn’t the only fashion-based art foundation to be energizing Milan’s arts scene. 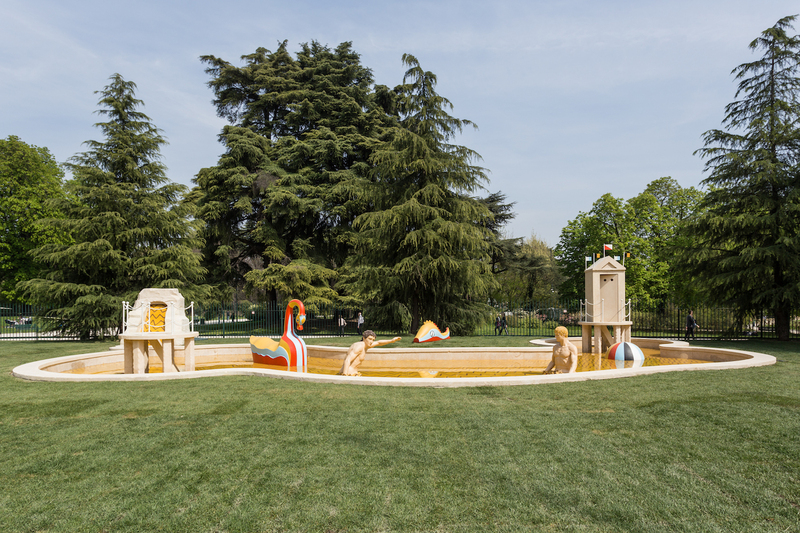 Though it lacks a permanent base, Fondazione Nicola Trussardi has been behind some of the city’s most fascinating multiartist exhibitions of recent years, curated by artistic director Massimiliano Gioni. Public art spaces are also in good shape right now. The handsome twin edifices of the 1938 Palazzo dell’Arengario, overlooking Piazza del Duomo, has become the Museo del Novecento, a gallery dedicated to European contemporary art. It also hosts a worthwhile permanent collection with some great Futurist canvases and Morandi still lifes. The Triennale, a striking rationalist palazzo built to house the decorative arts expo of the same name, became the country’s first design museum in 2007. Vast holdings of classic pieces by Giò Ponti, Vico Magistretti, and other greats are displayed selectively alongside monographic shows. Upcoming is an Ettore Sottsass retrospective, running from Sept. to March 2018. Although publicly disowned by its architect, David Chipperfield, after a row over the specification of flooring materials, the MUDEC Museum of Cultures, in the former industrial district of Tortona is an imaginative steel-factory conversion. 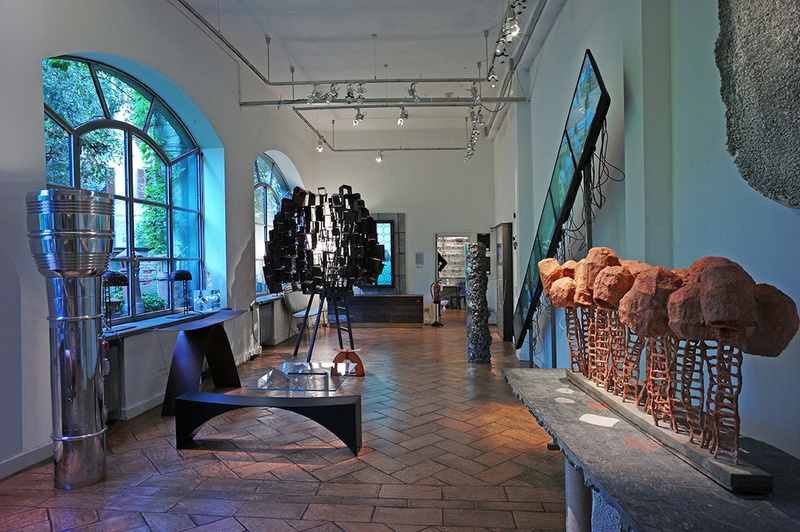 Its exhibition programming is intended to reach out to the foreign residents of a city that is currently one of the most cosmopolitan in Italy. 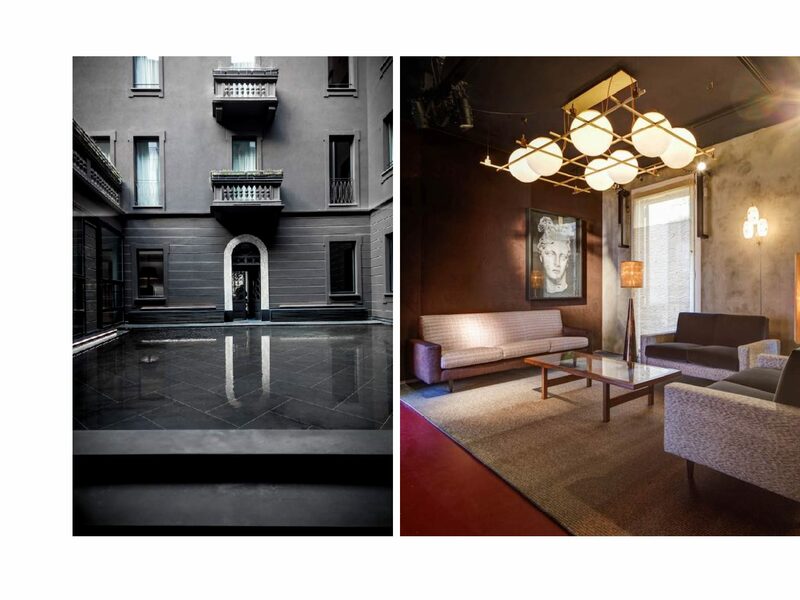 Other recent additions to Milan’s cultural buffet include Villa Necchi Campiglio, the 1930s rationalist-luxe residence of Italy’s leading sewing machine dynasty. Luca Guadagnino’s movie I Am Love, starring Tilda Swinton, is mostly set in the villa and garden, which is today administered by Italian heritage charity FAI. One of the city’s great unsung cultural draws is still as essential as ever: Studio Museo Achille Castiglioni, the central Milan apartment that served as the great Italian designer’s office and idea laboratory. Entry is via prebooked guided tours, often led by Castiglioni’s widow, Irma, or daughter Giovanna. It’s a thrill to see the original drawings for his iconic Arco lamp, but equally fascinating are the inspirational objects he collected and crammed into every corner of the four-room studio, including the bicycle saddle that prompted him to create one of his earliest designs, the Sella stool for Zanotta. First there were the grandes dames: the opulent, palatial Principe di Piemonte, the art deco–influenced Excelsior Hotel Gallia, the old-money refuge Grand Hotel et de Milan, an elite group joined in 1993 by the Four Seasons, which soon became the style set’s default choice for Fashion Week. Then came the new millennial kids on the block: Ed Tuttle’s austerely luxurious Park Hyatt in 2003, followed a year later by the Antonio Citterio–designed Bulgari Hotel, its nonchalant, monied minimalism sending out all the right signals to those who assumed the jewelry brand’s approach to hospitality would skew towards bling. The discreet location helps, of course: a leafy private street bordering the city’s botanical garden, just five minutes’ walk from the boutiques of Via Montenapoleone. Thirteen years on, the Bulgari’s lively bar with its verdant garden terrace still hosts the city’s top evening aperitivo scene. Armani sashayed onto an increasingly crowded fashion-hotel runway in 2011, opening a suave, understated hotel above the brand’s flagship store. It’s not counterintuitive by any means in its contemporary spin on Italian bourgeois interiors of the 1930s and ’40s, and still a worthwhile sleepover address with its besuited “lifestyle managers” (personal concierges, in effect) and achingly elegant Bamboo Bar. The latter, with its louvered view of the city, is a far more exclusive after-dinner hangout than the the dull Armani Privé downstairs, which is strictly for awed brand-junkies. The big hospitality news in recent years has been the arrival of Italy’s first Mandarin Oriental. Its location, in a converted bank on a quiet urban courtyard just off Via Manzoni, equally well-placed for a night at the Teatro alla Scala opera house or a label spending spree, is second only to the Bulgari for seclusion in the heart of the city. Here, too, Citterio has been deployed as the interiors guru, alongside his design partner Patricia Viel. The pair were in a retro mood, paying homage to the elegant color schemes of midcentury Milanese townhouses and coming on all Giò Ponti in the striking black-and-white Bar Bistrot. It’s cool, collected Milanese elegance leavened by a tasteful touch of Hong Kong spice—a mix also pursued by chef Antonio Guida at the Seta restaurant. Snaffled from Tuscany’s legendary Pellicano hotel, Guida does seriously fancy Mediterranean cuisine with East Asian influences (witness one of his signature dishes: pasta “buttons” filled with red prawns and basil, served with chickpeas and a very un-Italian ginger consommé). Finally, the Tortona district, location of so many Salone del Mobile happenings and parties, also has a hotel worthy of the area’s industrial past: Magna Pars Suites. The 39 luminous white suites wrap around the plant-filled central courtyard of a former perfume factory; each is named after and scented by a fragrance created in the on-site Lab Solue laboratory. You don’t have to be a nose to stay here, but you should definitely dress as though you’ve just stepped out of an Antonioni movie. Beyond the luxe palaces, Italy’s financial capital has become far more responsive in recent years than sluggish Rome to the needs of design-conscious travelers who don’t want to spend an average monthly wage on a small suite in high season. Three new entries offer value. Hotel Senato was the private townhouse of a local construction dynasty before architect Alessandro Bianchi turned it into a discreet 42-room refuge that employs bourgeois materials par excellence—brass, Carrara marble, wooden parquet flooring—in a series of handsome spaces. Perhaps Bianchi’s master intuition was to fill the central courtyard with water to soothe stressed business clients. Though it’s a new build located in the brave new business and residential district, Porta Volta, the 124-room Hotel VIU, which hides behind a wooden-clad Modernist façade, nods to the city’s golden age of midcentury design. While there’s a gourmet restaurant helmed by Alessandro Morelli, the real icing on the torta is the terrace, open only to hotel guests, which features a small but satisfying rooftop pool with views of north central Milan’s bold new skyline. 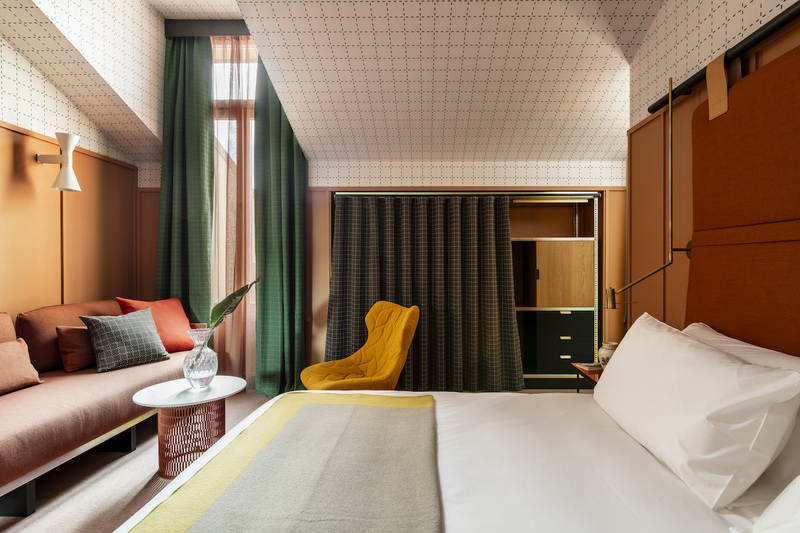 Room Mate Giulia is Spanish designer Patricia Urquiola’s first top-to-toe hotel project in Milan. In close proximity to the Duomo and historic Galleria Vittorio Emanuele shopping arcade, the feel is a little like a hipster youth hostel, with its deliberately mismatched Cassina furnishings, kooky artwork by young Milanese talents, and graph-paper patterns on the guest room ceilings and curtains. It is, in a word, fun—a quality that is increasingly evident in the interiors, architectural and human, of this once buttoned-up city. There are still plenty of down-home restaurants offering traditional carb rushes like the saffron-spiked risotto alla milanese with osso buco (sliced veal shank); and indeed, plenty of movers and shakers secretly prefer this solid Po Valley comfort food, slipping off to in-crowd trattorias such as Da Giacomo whenever they can escape sashimi or mod-Med evenings with clients and guests. That said, locals are known to have discerning and demanding palates. Milan is the only Italian city with a proper global food offering, and it plays host to the only two Italian Michelin-starred restaurants to showcase non-European cuisine—both of them Japanese in inspiration. Trailblazer Iyo was opened in 2006 by young Italo-Chinese restaurateur Claudio Liu, while the more recent novelty Tokuyoshi uses strictly Italian ingredients that, to quote post-punk combo The Vapors, find themselves “turning Japanese” in the hands of Yoji Tokuyoshi, previously sous-chef to the legendary Massimo Bottura at Osteria Francescana in Modena. A decade or so back, what Italians call cucina creativa was mostly on offer in a few centro storico temples of cutting-edge gastronomy such as Cracco, or in a rash of modern bistros around the boho district of Porta Romana and the Navigli. No longer. 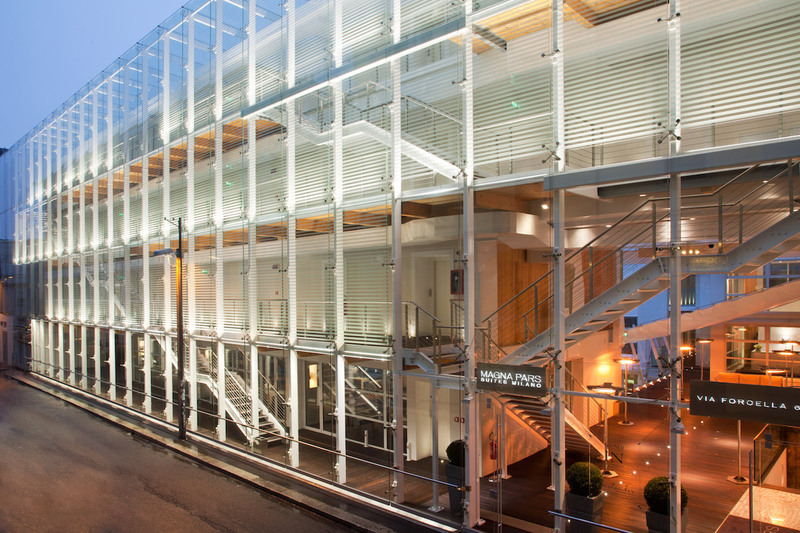 The search for cheaper rents, urban development projects like Porta Nuova, and hipster attention-deficit disorder have combined to prompt the opening of new gastronomic frontiers such as the northern end of Via Solferino, where contemporary bistro and natural-wine dispenser Pisacco and its stablemate across the road, pizza and cocktail bar Dry Milano, are at the center of a new movement. Of the two, it’s Dry that really convinces. Architect Tiziano Vudafieri fashioned the stripped-down aesthetic of the neo-speakeasy in the back, where the specials are scrawled on the raw walls, which double as projection screens for video installations selected by local art organization Peep Hole. Hiding in plain sight behind two huge street windows like a Milanese reboot of Edward Hopper’s “Nighthawks” is the reign of Guglielmo Miriello, a young bartender who specializes in elaborate old-school cocktails like the Boulevardry (Bulleit Rye, Campari bitter, Cocchi vermouth, red-berry shrub). Behind, in a sprawling dining room that flaunts its ventilation ducts, the best Neapolitan-style pizza in the city is served. It’s been such a hit that a second branch with exactly the same formula opened just a 10-minute walk away, in Viale Vittorio Veneto, last spring. Meanwhile, in Segheria, Carlo e Camilla is the poster boy of new Milanese dining. Helmed by celebrity chef Carlo Cracco, famous for weird combos like sea urchins and coffee (which, to be honest, tastes as odd as it sounds) and for his Italian Master Chef TV appearances, it’s situated in an abandoned sawmill owned by the family of designer Tanja Solci. Two long communal tables lie beneath ornate antique chandeliers that offer an abrupt contrast to the raw, gray industrial space. The Mediterranean cuisine, prepared by Cracco protégé Luca Pedata, is less out-there than at the exec chef’s mothership restaurant near the Duomo, and is ably abetted by delightfully ludic cocktails (one, Alex Come Here, features milk and cornflakes). Carlo e Camilla isn’t the only arrival to riff on the city’s industrial heritage. On the rooftop of a Fascist-era electricity company not far from Porta Nuova, Ceresio 7 is the brainchild of Canadian designer brothers Dean and Dan Caten, whose Dsquared 2 flagship store is housed downstairs. The 1930s container was the inspiration for Dimore Studio’s neo-vintage interiors, a series of intimate leather and brass separés that you might expect to see in a smoky basement. Chef Elio Sironi delivers persuasive seasonal northern Italian cuisine, but the showstopper lies outside on the terrace, in the form of two swimming pools that bookend the rooftop dining room. Book lunch at the restaurant and you can access the pools during the day for around $130 per person, an amount that is debited back to each patron’s tab. 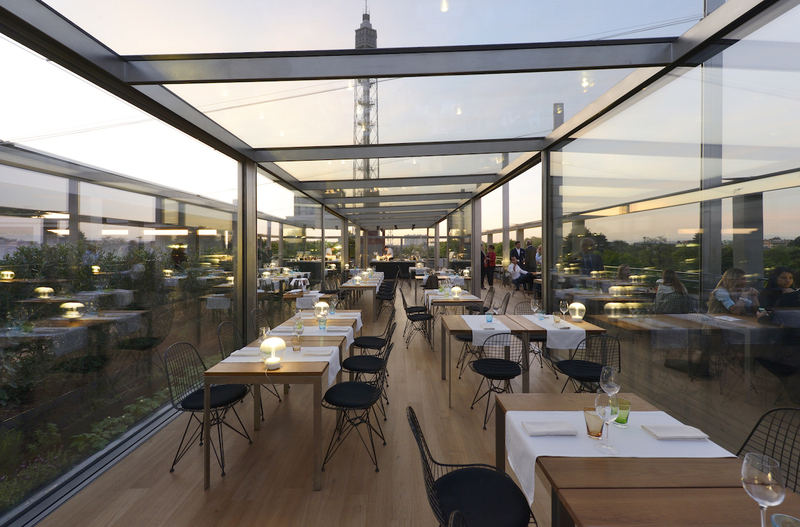 Another rooftop well worth a visit is the Triennale design museum’s pleasant farm-to-table restaurant, Terrazza Triennale. Its urban-rural credentials are supported by the light touch of OBR studio’s design scheme, all glass and greenery, and the treetop view across one of the city’s best-loved parks, Parco Sempione. And then there’s volcanic abruzzese chef Niko Romito’s Spazio, on the third floor of Il Mercato del Duomo, its windows so close to the flowery pinnacles of the cathedral just across the street you could practically eat one. This is one of central Milan’s best culinary bargains and functions as a school as well as a gourmet Italian restaurant, where young chefs, sommeliers, and servers come to learn their trade. Be sure to book a while in advance, especially for one of the coveted window seats. Despite the presence of the esteemed fashion houses, there’s more to Milanese retail than the cluster of brand-name boutiques on the famous Quadrilatero d’Oro. It’s true that certain label lairs are worth a visit for the setting and design alone, like Issey Miyake’s first Italian flagship store, which opened recently in the 19th-century Palazzo Reina in Via Bagutta. 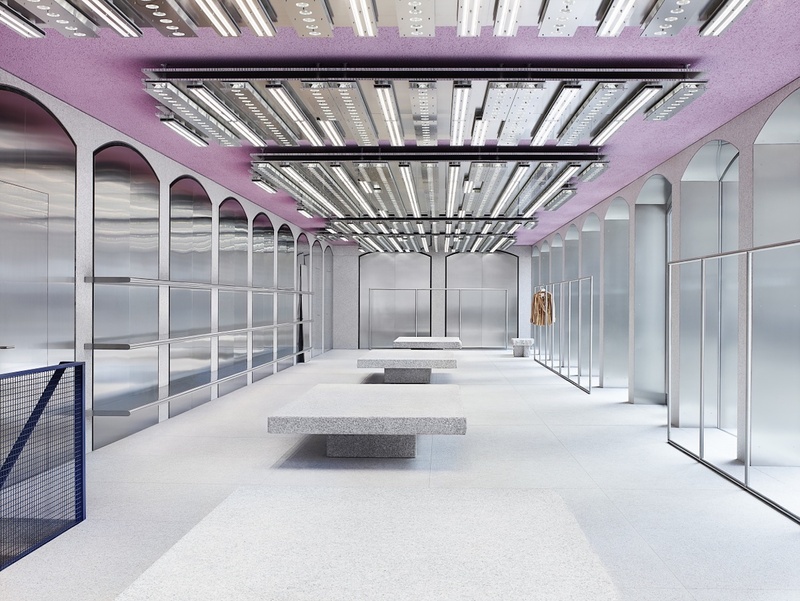 Miyake’s go-to interiors guy, Tokujin Yoshioka, has created a minimalist floating world of white, silver, and primary colors between two original features: fading ceiling frescoes and a lovely terrazzo floor. Also lurking in the area is Nilufar Gallery, a place that might stand as a symbol of the city’s dynamic, whatever-works attitude toward established rules and categories. Of Iranian origins, owner Nina Yashar began her professional career selling antique rugs and tapestries, but later varied the formula to include vintage modern furniture from Scandinavia and elsewhere. She has since varied the mix still further by launching her own limited-edition collection, championing up-and-coming designers such as Martino Gamper and Michael Anastassiades. 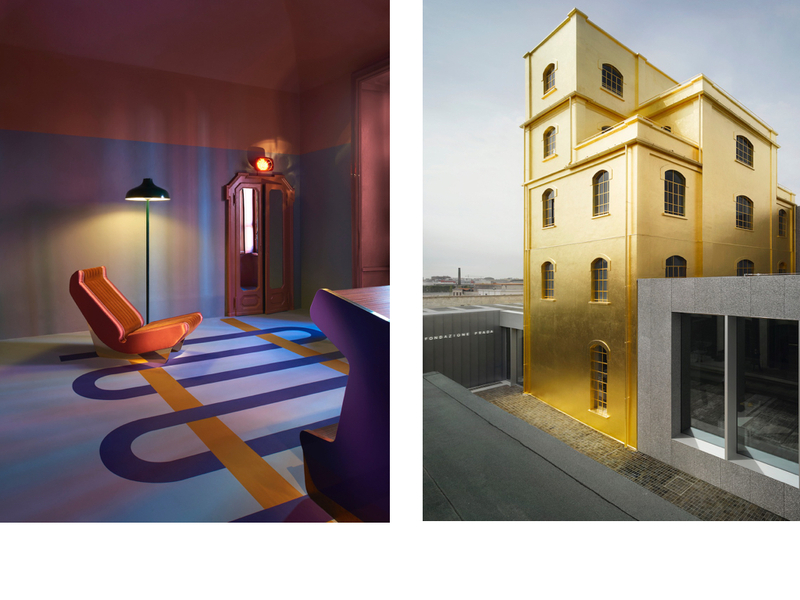 In 2015, Yashar turned the industrial hangar north of Porta Garibaldi station, where she stockpiles finds old and new, into Nilufar Depot, a three-story warehouse of wonders converted by architect Massimiliano Locatelli into a balconied design theater. Needless to say, the furniture shows Yashar stages—such as this year’s installation, inspired by a Giò Ponti apartment—are among the hottest tickets at Salone del Mobile. But most of the one-off shops are outside the Quadrilatero. 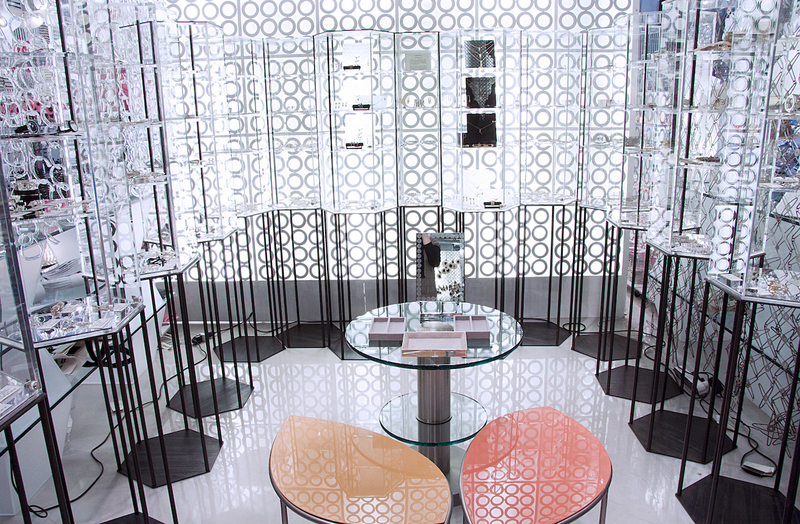 Head for Corso Como, where former fashion magazine editor Carla Sozzani’s emporium, 10 Corso Como, is still unerringly tasteful and predictive over two decades after its foundation. This was the world’s first true concept store (Paris’s Colette, due to close for good this winter, didn’t arrive until years later), and when it opened, in an erstwhile auto workshop, it redrew the map of Milan, dragging the creative class and the just plain curious to an area beyond Brera. Lunch at the courtyard café inside the multitasking fashion, design, publishing, and art factory is still an essential ritual. Those on the lookout for interior design inspirations mixing industrial salvage and contemporary artisanship should also taxi towards two requisite addresses. Rossana Orlandi has an unerring eye for relevant retro pieces and the works of next-wave designers. The two mingle seamlessly at her namesake galleria, where a chair by Maarten Baas might nestle up against the neon letters of a 1960s shop sign. Smaller in scale but equally fascinating in its blend of old and new is Corso Magenta’s Raw, antique dealer and interiors genius Paolo Badesco’s Wunderkammer, which also now has a Brera branch. Speaking of Brera, the neighborhood known for its galleries and antique shops is these days positioning itself as the city’s alternative design district. Swedish brand Acne Studios chose a quiet square, Piazza del Carmine, for its Milan debut. The facade, with its procession of arches on two sides, winks at the Gothic exterior of the red-brick carmine church that dominates the piazza. Meanwhile, Golran, a traditional Persian rug company that a few years back began collaborating with designers such as Piero Lissoni and Bertjan Pot, has become a key event venue during Salone del Mobile, along with the nearby Moroso showroom. Designers Britt Moran and Emiliano Salci, who perhaps have done more than anyone in recent years to inject the spirit of midcentury Italian classicism into contemporary furnishings and interiors, turned their offices in an 18th-century palazzo into Dimore Gallery. 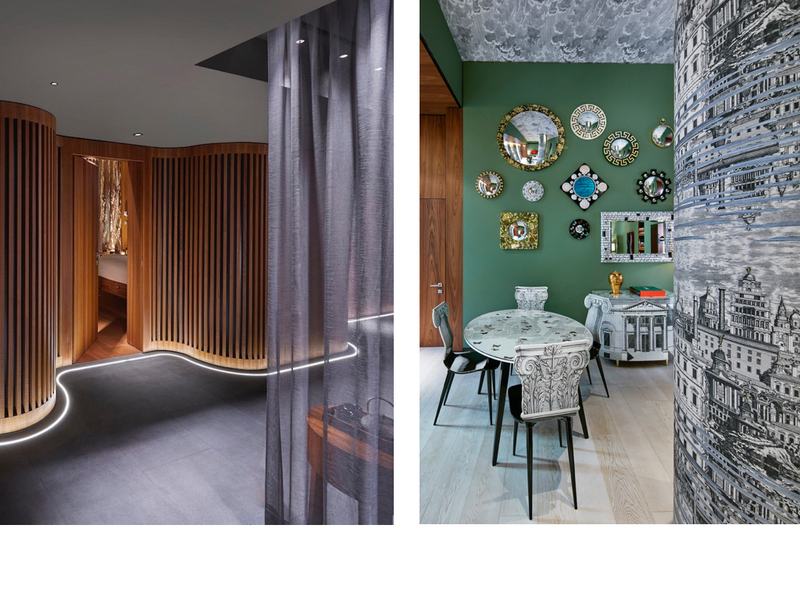 In a suite of elegant rooms, work for clients that include Giulio Cappellini, Bitossi Ceramiche, and Golran is arranged in ever-changing tableau alongside selected vintage pieces that channel their seductive aesthetic. On the sartorial side, other key Brera originals to note are: Giosà, a tiny place chock-full of crocodile and other leather accessories in eye-bruising hues, and Vintage Delirium, as much a fashion archive as a second-hand clothing shop, where collector Franco Jacassi presides over an ever-changing selection of unique garments, accessories, and textiles from the 19th-century through the 1980s. Finally, don’t turn your nose up at the classic department store La Rinascente; the main Duomo branch began a makeover in 2005 that has continued apace ever since. The basement Design Supermarket, styled by 1+1=1 Claudio Silvestrin Giuliana Salmaso Architects, is by far the best one-stop shop in town for takeaway design items that range from homeware and lighting to electronics and gadgetry.